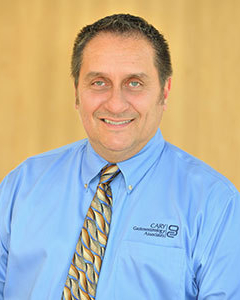 Dr. Stephen Furs has been part of the Cary Gastroenterology team since 1997. Board Certified in Gastroenterology and Internal Medicine, he is also Certified by the National Board of Medical Examiners and is a life member of the National Registry of Who’s Who. He's a member of the American College of Gastroenterology, American Gastroenterology Association and the American Society of Gastrointestinal Endoscopy, the NC Society of Gastroenterologists, and the NC Medical Society. Dr. Furs is a graduate of the Honors Program at Temple University, Philadelphia, PA. He received his medical degree from the University of Connecticut School of Medicine, Farmington, CT. He completed his internship and residency at the University of Connecticut, Farmington, CT. Dr. Furs completed a fellowship in internal medicine at the University of Connecticut, Farmington, CT, followed by his fellowship in gastroenterology/hepatology at the University of North Carolina School of Medicine, Chapel Hill, NC, where he added a third year of fellowship training in diagnostic and therapeutic biliary procedures. He has a special interest in clinical research, biliary procedures, Hepatitis C, and colon cancer screening.